Located at the foot of a mountain with a beautiful river zig zagging around, Huangluo Yao Village is the only village of Yao minority in Longji scenic area. 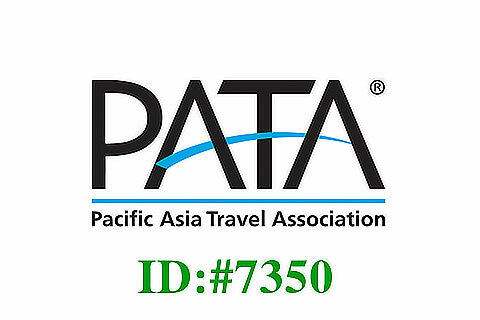 All the villagers, totaling just over 400, are Yao ethnic minority. The villagers are hospitable and fond of singing and dancing. Yao girls extend warm welcome to tourists by wearing their ethnic costumes, singing and dancing. One of the local traditions is to keep long hair. In the past, local women's long hair was not supposed to be seen by others, even by their husband or children. Therefore, Yao women used a long cloth to twist and hide their hair into a knot. 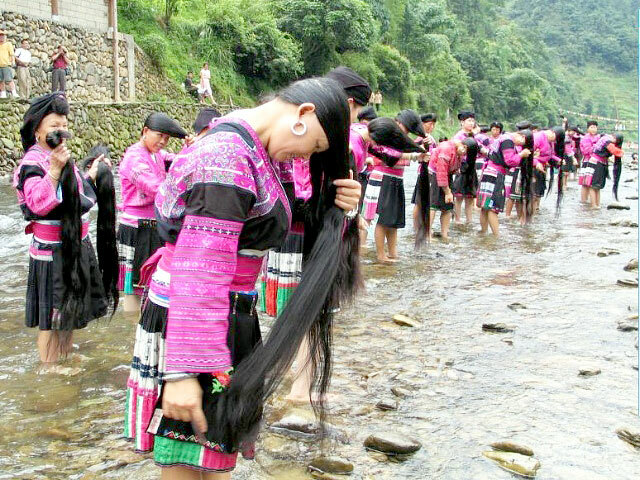 During summer and autumn, Yao women would get down to the river to wash and comb their hair with women friends. Such tradition has faded away. Nowadays, you can easily see Yao women wash and comb their hair in the river. Their hair would usually be one meter long, the longest being 1.75 meters.